The most amazing Health Bundle EVER! Okay, this is exciting, guys. Not sure if you know this about me but I am an information junkie. I love learning new things, being in-the-know, and updated with things I enjoy or am simply curious about. I am an information sponge. This leads me to attend countless webinars monthly, buy many products to help me learn more and become better at whatever it is I am interested in (for example, I just bought a software that helps you create Kindle ebooks successfully and easily, promote them for maximum profits, rank high in the Amazon search engines, etc… we’ll see how it goes, I haven’t dived into it yet), and read many books. But mostly ebooks. Why do I love eBooks? They are instantly accessible – you don’t have to leave where you are to get your hands on this particular book. You can check it out, buy it, and read it all in one place. It’s neat. Convenience at its finest. They don’t take up any room – since they are digital, I don’t have to worry about making room for them in my smallish apartment. Man, I would have shelves and shelves full of books if every single ebook I purchased came in physical form. They are up to date and exciting and best of all, they don’t cost a fortune! I recently created my OWN eBook which is actually a cookbook. 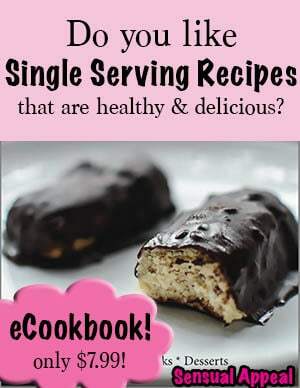 The cookbook is called “Healthy & Delicious: Single Serving Recipes” and it is a compilation of some of the best portion-controlled yummy recipes that will make you happy you don’t have to share. The ebook is also very affordable and I have been getting amazing feedback about it so far! Make sure to check it out for more information. So naturally hence all of the hype up about eBooks and why I love them and that I want to continue being submerged in this lovely realm of information, I jumped at the opportunity to be one of the promoters of this short-term fabulous health bundle ebook sale. Why? Because this is honestly the best offer I have ever seen online. I am not exaggerating and you will be convinced too as soon as you see the list of ebooks (and MORE) of what is offered in this bundle sale, all for a very low price. What is the Harvest Your Health Bundle? “The trees wear brilliant shades of yellow, orange, purple, and red. The air is crisp as it brushes our cheeks, and the scent of sweet apple, pumpkin, and cinnamon dance in our homes. Autumn has arrived in full force while the team at Primal Toad was busy harvesting the best collection of health and wellness eBooks to share with you all. 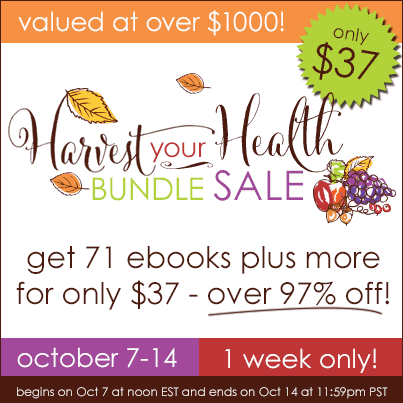 Including 65 unique authors, theHarvest Your Health Bundle is sure to bring a bounty of inspirational wellness wisdom to you this fall season. Click here to see the HUGE list of products that are included. Um… yeah. I was shocked too. This isn’t one of those scam sales, this is for real. I had the pleasure of checking out all of the ebooks that come with the purchase too before agreeing to promote the sale – I wasn’t gonna tell you about something I didn’t actually believe in, after all. I wasn’t gonna ruin my street cred for being honest and upfront with you at all times. So I looked through every ebook and guess what – the books are packed with information. They are all high quality content books that educate and inform about a range of different topics. What’s included in this amazing sale? There is a HUGE section on PALEO, which is not really something I am particularly interested in because I eat whatever the heck I want (intuitive eating, whuddup) however as a food blogger and a cook/baker, I do enjoy looking at recipes for inspiration. 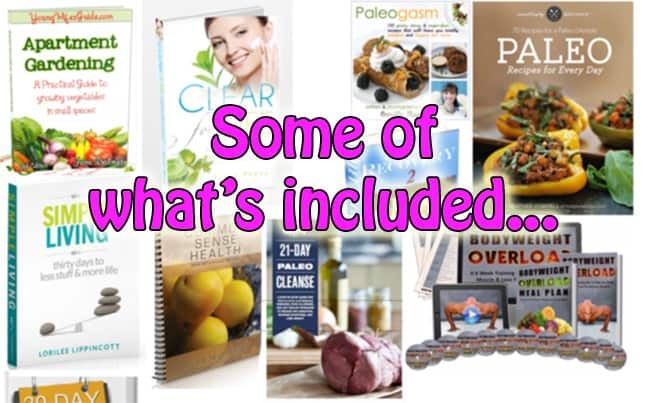 There is more than enough paleo and other types of cookbooks to choose from for your next meal inspiration. Then there are the general health and fitness books that range from parenthood to anti-aging to hormones to detox. Pretty much anything you might possibly be interested in. I mean, I’m not hiding anything – all of the books are listed in the sales page so you can go and see what you will be getting. It’s pretty awesome. This is information for real food living, healthy living, happy living, etc. It’s an amazing resource and I urge you to take advantage of this fabulous offer which will only last for a week before the price goes back up to $1037. If you don’t get it during this sale, you WILL regret it cause I AM planning on doing selected adapted recipes, showing how some of the food came out for me (sans recipe), and thoughts/articles inspired by reading some of these books… you wouldn’t wanna be kicking yourself for not buying it when you had the chance, right? Disclaimer: Yes, I am an affiliate for this health bundle sale. How can I not be? This is truly a fantastic offer and I’d feel silly not agreeing to help promote it. Congrats on your e-book, that’s so cool! Get it! It’s seriously so worth it!